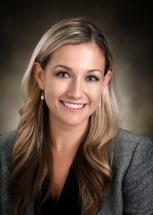 Ms. Whittinghill is an associate in the Valdosta office practicing with the firm’s General Liability and Insurance Defense Group. Ms. Whittinghill handles the defense of businesses and individuals in civil litigation with an emphasis on insurance coverage disputes, premises liability, and general civil liability. She also handles tort claims and various state court insurance claims. exclusively within Superior Court and she gained invaluable courtroom experience.